The full text of the FCC’s open internet order has now been released, along with 305 additional pages of exegetical elaboration and 79 pages of formal dissents from the two Republican commissioners. From an OTT perspective, there isn’t much in the full text that wasn’t already known from what the FCC released last month when it voted to approve the rules: The order’s “bright-line” rules against blocking, throttling and paid prioritization do not apply to commercial interconnection arrangements. However, the FCC will consider complaints regarding those arrangements and will take (unspecified) enforcement action if an ISP’s behavior is determined to violate the order’s “general conduct standard,” prohibiting actions that “unreasonably” interfere with or damage consumers or edge providers. § 8.11 No unreasonable interference or unreasonable disadvantage standard for Internet conduct. Any person engaged in the provision of broadband Internet access service, insofar as such person is so engaged, shall not unreasonably interfere with or unreasonably disadvantage (i) end users’ ability to select, access, and use broadband Internet access service or the lawful Internet content, applications, services, or devices of their choice, or (ii) edge providers’ ability to make lawful content, applications, services, or devices available to end users. Reasonable network management shall not be considered a violation of this rule. 28. Interconnection. BIAS [broadband internet access service] involves the exchange of traffic between a broadband Internet access provider and connecting networks. The representation to retail customers that they will be able to reach “all or substantially all Internet endpoints” necessarily includes the promise to make the interconnection arrangements necessary to allow that access. 29. As discussed below, we find that broadband Internet access service is a “telecommunications service” and subject to sections 201, 202, and 208 (along with key enforcement provisions). 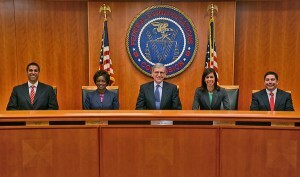 As a result, commercial arrangements for the exchange of traffic with a broadband Internet access provider are within the scope of Title II, and the Commission will be available to hear disputes raised under sections 201 and 202 on a case-by-case basis: an appropriate vehicle for enforcement where disputes are primarily over commercial terms and that involve some very large corporations, including companies like transit providers and Content Delivery Networks (CDNs), that act on behalf of smaller edge providers. 30. But this Order does not apply the open Internet rules to interconnection. Three factors are critical in informing this approach to interconnection. First, the nature of Internet traffic, driven by massive consumption of video, has challenged traditional arrangements—placing more emphasis on the use of CDNs or even direct connections between content providers (like Netflix or Google) and last-mile broadband providers. Second, it is clear that consumers have been subject to degradation resulting from commercial disagreements, perhaps most notably in a series of disputes between Netflix and large last-mile broadband providers. But, third, the causes of past disruption and—just as importantly—the potential for future degradation through interconnection disputes—are reflected in very different narratives in the record. That last sentence may be the understatement of the year. In any case, nothing is likely to change in the near term. The rules do not have legal force until formally published in the federal register, a process that could still take a couple of weeks. In the meantime, great armies of lawyers will be combing through the 300-plus pages of rules and rationales looking for vulnerable spots to attack in litigation. Any litigation could result in the court imposing a stay on the order, preventing the FCC from enforcing the new rules or general conduct standard until the legal process has run its course many months, and potentially years, from now. Should the rules survive legal challenge the fun would just be starting for the OTT business. The general conduct standard under which interconnection arrangements will be reviewed expressly exempts “reasonable network management” from liability. But exactly how, whether and when “reasonable network management” shades into “unreasonably disadvantage[ing]” an edge provider are the sort of devilish details that are likely to occupy a lot of FCC bandwidth in the future. As expected, the order is also silent on the question of zero-rating, and issue that could flare into controversy fairly quickly, given the interest that ISPs and wireless carriers have already expressed in expanding the practice. 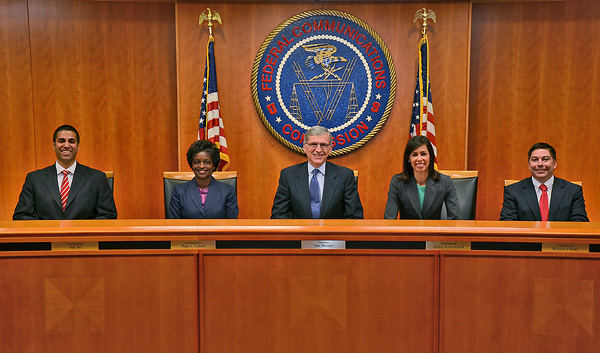 The FCC has indicated it could review complaints over zero-rating under the same general conduct standard it will apply to interconnection arrangements, but if the rules are stayed pending the resolution of litigation it could be a long time before it could take any action against them. If the practice becomes widespread in the meantime it could be that much harder to undo later. Buckle up, there’s plenty of turbulence ahead.